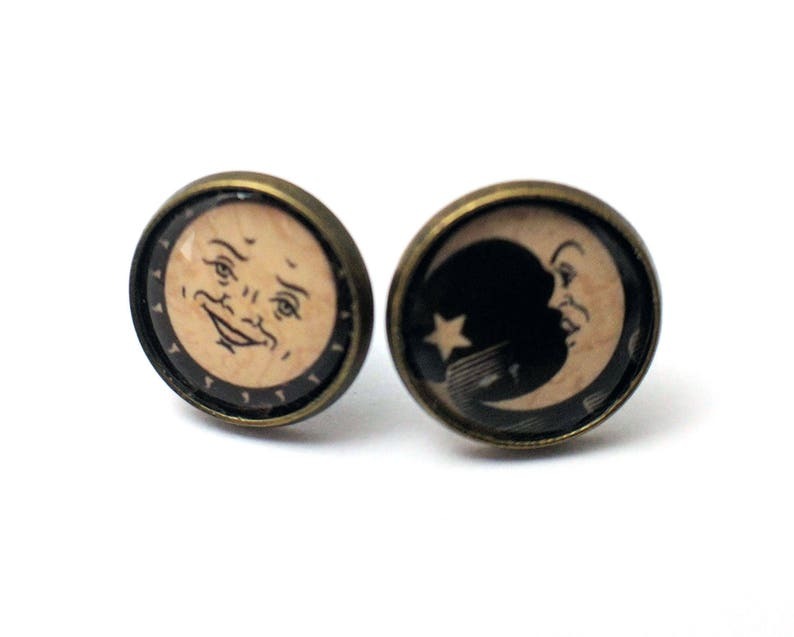 A pair of bronze stud earrings, with an 12mm glass setting. Large enough to clearly see the design, yet small enough not to overpower your ear. Comes packed in a beautiful glossy black cotton-filled box, and on a metallic damask earring card. Ready for gifting!